Activated charcoal has gained popularity in recent years as an oral hygiene product. You may have seen posts on Instagram or Facebook where someone brushes her teeth with a strange, black toothpaste, bragging about this secret teeth whitening “hack”. Some DIYers make their own charcoal toothpaste using coconut oil, activated charcoal tablets, and various other ingredients. What are the Claims of Activated Charcoal for Your Teeth? Activated charcoal is well known for its ability to absorb. More than 200 years ago, a French scientist demonstrated charcoal’s ability to absorb poison by drinking a mixture of arsenic and charcoal and not dying. Water filtration systems use charcoal to remove impurities from water. 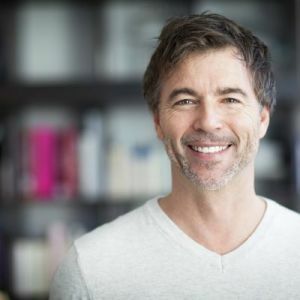 When it comes to oral hygiene, proponents of activated charcoal claim that it will absorb disease-causing bacteria as well as dark stains from the teeth. The absorption of the bacteria and toxins that cause gum disease would reduce plaque accumulation and gingivitis. Reduction in plaque and gingivitis lowers a person’s risk for periodontal disease and results in healthy gums. The absorption of dark stains from the surface of teeth would give the teeth a whiter appearance. 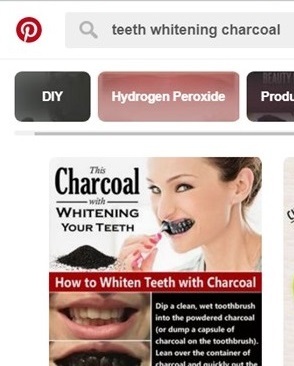 Can you use activated charcoal to whiten your teeth? We don’t know. 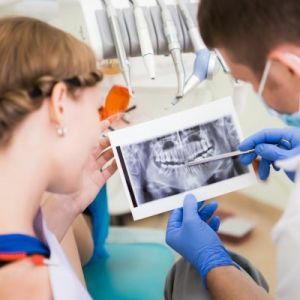 The American Dental Association recently released a literature review of all the scientific studies performed with activated charcoal products. The conclusion they came to is that there is currently not enough research to support the claims of charcoal as an oral hygiene product or to determine its safety for use on teeth. This means that scientifically, your dentist cannot tell you that it is okay to use charcoal on your teeth. It is a complicated issue because of the wide variety of oral hygiene products available in online markets. It is complicated even further by the lack of consistency or measurability among homemade recipes of charcoal toothpaste. Is Charcoal Safe for Your Teeth? The possible danger associated with using activated charcoal oral hygiene products is based on the risk of abrasion. Abrasion is the gradual wearing away of tooth enamel by a rough or gritty substance. Imagine using sandpaper on your teeth. The risk of enamel damage by an abrasive substance is measured by an index called the RDA, which stands for radioactive dentin abrasivity. The American Dental Association states that toothpastes must have an RDA of 250 or less to be safely used on enamel. Whitening toothpastes score relatively high on this index, and toothpastes for sensitive teeth score in the lower range. In order to obtain the RDA of a toothpaste, experiments must be carried out by an independent lab under very strict conditions. It is possible to find commercial charcoal toothpastes with a measured RDA. Any toothpastes that have a published RDA under 250 are safe to use and will not cause damage to your enamel. One way you can be sure your toothpaste is safe is to look for the American Dental Association’s Seal of Approval! Is it good to brush your teeth with charcoal? There appears to be a higher risk with homemade toothpastes. The particle size of activated charcoal in capsules may be very large or contain sharp, abrasive edges. Different brands of charcoal capsules will have different size particles, so they cannot be consistently measured. As rough, gritty substances act like sandpaper to the tooth, the enamel slowly becomes thinner. Enamel is the only part of a tooth that is naturally white in color. The underlying structure, dentin, is darker and more yellow. As enamel becomes thinner, it becomes more translucent, allowing the yellow dentin to show through. This gives the tooth an overall yellow appearance. Another concern is that many homemade toothpaste recipes call for lemon juice, apple cider vinegar, or other strong acids. Acid is extremely bad for your teeth. In addition to the risk of abrasion by charcoal particles, you add the risk of acid erosion. Never ever use lemon juice or vinegar on your teeth. Acid erosion is the gradual thinning of enamel as strong acids slowly dissolve it. Just like abrasion, this can actually make the tooth look yellower over time. So fans claim that activated charcoal makes your gums healthier and your teeth whiter. Unfortunately, dental professionals cannot get behind those claims. However, we can help all of our patients get those same claimed results. Healthy gums are an integral part of a beautiful smile. They should be pale pink and flat, not red and puffy. The opposite of healthy gums is gingivitis, which is caused by plaque. To keep gingivitis away, you have to remove plaque completely. There are two important factors in keeping plaque from buildup on the teeth. 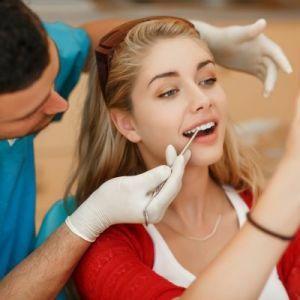 Dental hygienists are specially trained in removing all bacterial buildup from the teeth, including both hard tartar buildup and soft plaque buildup. 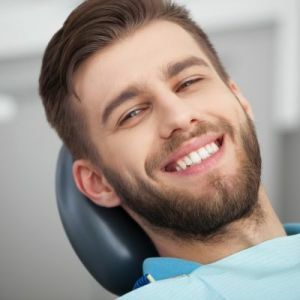 Hygienists note problem areas and give you customized care instructions for better cleaning of your teeth at home, which is the second important factor. Brush twice daily, once after breakfast and once before bedtime. Use an anti-plaque or anti-cavity mouthwash each time you brush. The mechanism by which charcoal claims to whiten teeth is polishing away surface stains. This is the same mechanism used by whitening toothpastes. This technique will help to keep exterior stain buildup from things like coffee, tea, cigarettes, and red wine to a minimum. However, they do not actually whiten your teeth. Actually changing the overall color of the teeth requires prolonged exposure of the enamel to a peroxide chemical. Peroxide whitening gels are very safe and do not cause any permanent damage to the teeth. Most people are familiar with Crest Whitestrips. There are other brands and methods of whitening products available over the counter. These all contain a peroxide whitening chemical, and the only difference from professional products is the level of concentration. Professional whitening products have a higher concentration of peroxide, which leads to faster and better whitening results. The gold standard of teeth whitening is the use of professional strength whitening gel in custom-made trays. 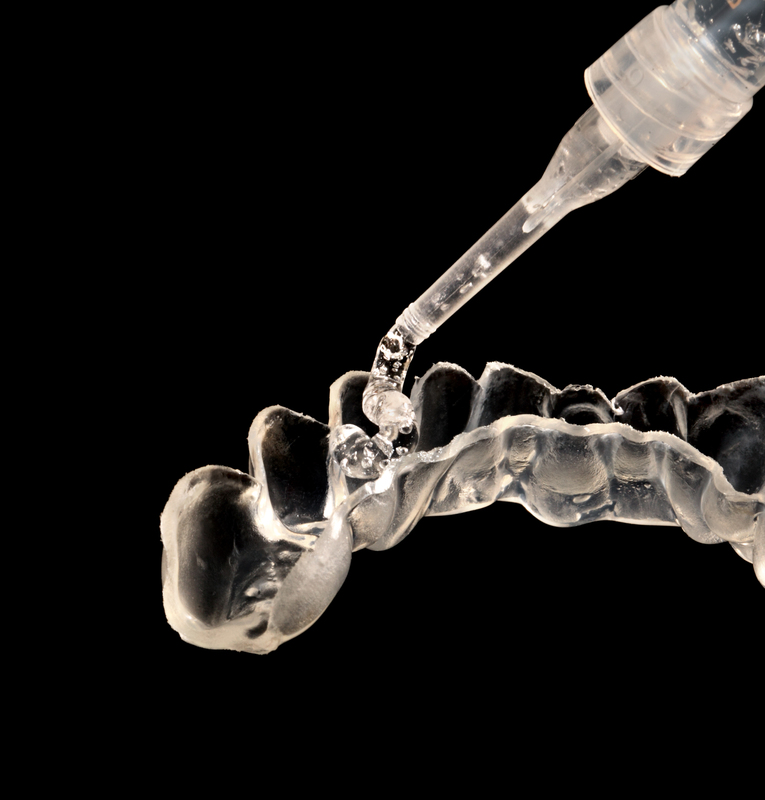 The trays hold the gel against the teeth, allowing you to get the maximum result with the least amount of gel. Typical whitening takes 10-15 days. Like ZOOM! or BOOST, these whitening procedures take place in one dental visit, and whitening results are seen in one hour! In this type of whitening, the dentist does the work for you for an immediate whitening effect. More Questions about Charcoal Dental Products? Call today to discuss your questions or concerns with Dr. Agarwal. 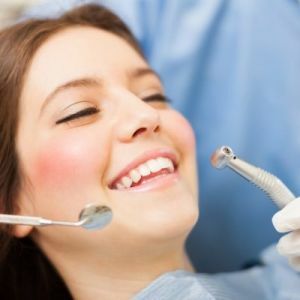 We can schedule you for a professional teeth cleaning or discuss your options for teeth whitening.